There are moments in the year that sparkle and make you feel dizzy with all the preparations. Anticipating a wonderful event is thrilling, you are carried away, as if living in a whirlwind, and you realize how much you are looking forward to it. This is how we are feeling at Brolio these days. We all share that feeling of being in a sparkling whirlwind – all of us! What is about to happen, beyond the marvels of nature in this harvest period? 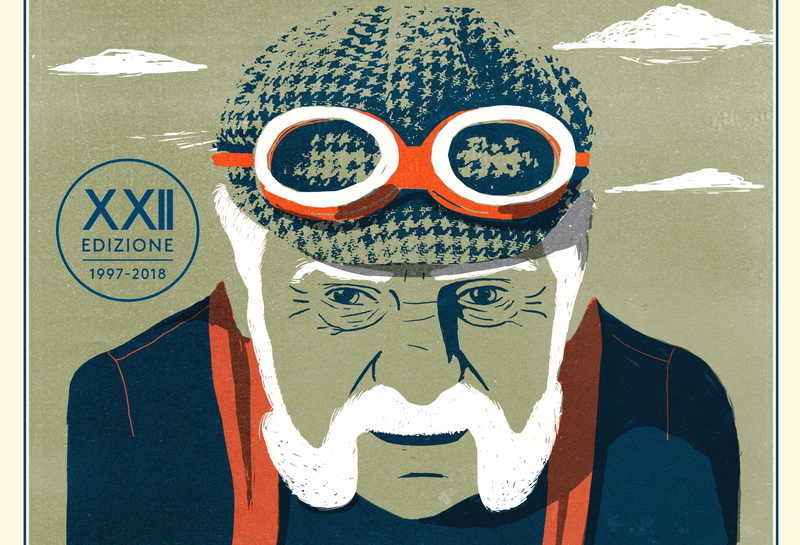 L’Eroica is coming! In just a few days, the bicycle race commemorating early heroic bike races will be held for the 22nd time. So simply stated, it almost seems unimportant. Almost. Because anyone who has been even once in this corner of Tuscany will understand the intoxicating dizziness mentioned above. L’Eroica was created by Giancarlo Brocci in 1997, and it celebrates road cycling, its history, its values. “We want to rediscover the beauty of fatigue and the thrill of the conquest.” That’s because to ride in L’Eroica you have to be courageous and be willing to face so much fatigue that it then becomes a thing of beauty to be savored in the satisfaction of having done it. Therefore, nothing modern: no super technological featherweight bicycles, no sweat wicking tee shirts or water bottles that magically send refreshing liquids directly into the parched mouth of the poor cyclist. L’Eroica can only be ridden with Eroica bicycles – that is, vintage road race bikes produced up to and including 1987, with or without gears, such as those built at the end of the 1800s and into the early 1900s – or with Vintage Style bikes. The cyclists must also wear vintage or vintage-inspired clothing, generally tee shirts and shorts made of wool, acrylic or other materials used until the end of the 1980s. In compliance with the commemorative spirit of L’Eroica, the participants are invited to choose all their other accessories carefully as well, from shoes to hats to water bottles, etc. The only exception is a certified helmet that is not only allowed but advisable. Thus dressed, our heroes will ride 209 km with a difference in altitude of more than 3700 m. The race takes at least 15 hours and the last riders will return to Gaiole in Chianti well after 10 pm. But the beauty of L’Eroica is that a few kilometers after the departure from the center of town, the most evocative portion of the ride is also the most dramatic, yet illuminated by dozens of candles that render the atmosphere old-fashionably romantic. This is the climb up to Brolio Castle, where the most extreme spirit can touch the peak of pure heroism. Riding though Brolio is fundamental, so we of course will accompany the event/race with our Global Sponsor support. 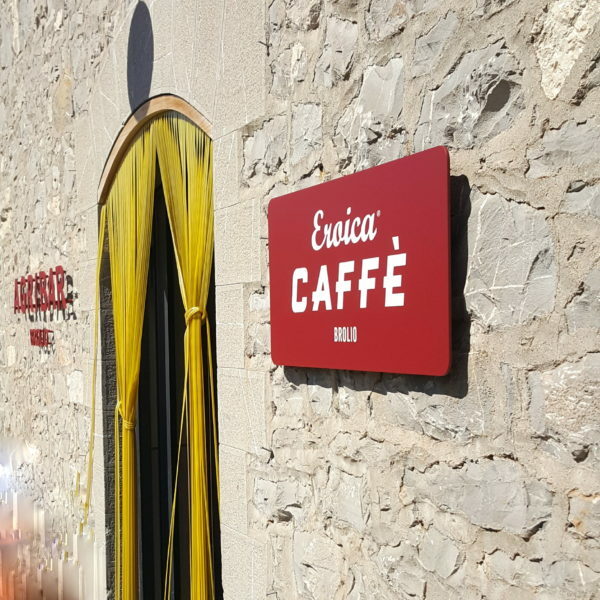 This includes a dedicated bar at Madonna a Brolio – our Agribar Eroica Caffè – where the heroic riders stop before beginning the climb to the Castle at the first hours of dawn. There will also be a number of other initiatives in anticipation of the race day. Here, then, is the program “Waiting for L’Eroica 2018”, and requests for information and bookings are already arriving. Saturday 6 October, the day before the race, you can book a tour that includes a Guided Tour of the Cellars and the Exposition of Vintage and Eroica Bicycles, with an aperitif at the Eroica Caffè Brolio and a gourmet stop at the Osteria del Castello restaurant. In more detail, Saturday 6 October, the meeting place and time is 14:45 at the Ticket Office of the Castle for a Tour of the gardens, the Chapel dedicated to Saint James and the Private Collection Museum, followed by a tour of the cellars – which are at the bottom of the hill, overlooked by Brolio Castle. 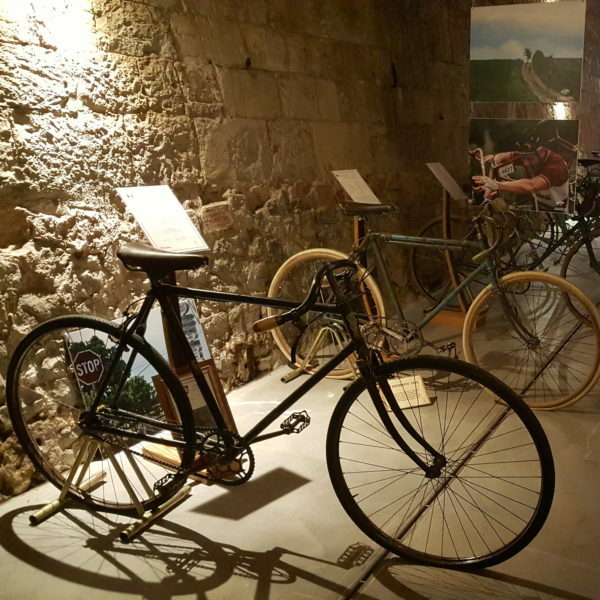 This will be completed with a tour of the permanent expositions of vintage and Eroica bicycles and a tasting of the noblest Ricasoli wines with the presentation of the new 2015 vintage. At the end, aperitif at our Agribar Eroica Caffè, located just in front of the Cellars. Lunch at the Osteria del Castello restaurant with a delicious menu created just for our Eroica guests will include a small vegetable flan with pecorino cheese sauce, pici (a local pasta) in a ragù of white meat and anchovy reduction and the Semifreddo of the Osteria, all accompanied by an Albia Rosé and Brolio Chianti Classico. And then at the first light of dawn on Sunday 7 October, everyone will be on a bicycle and ready to climb up the hill to Brolio Castle, with a bottle of Brolio Bettino as a gift! For information and bookings, please write us at castello@ricasoli.it by 2 October. We look forward to seeing you at Brolio very soon!